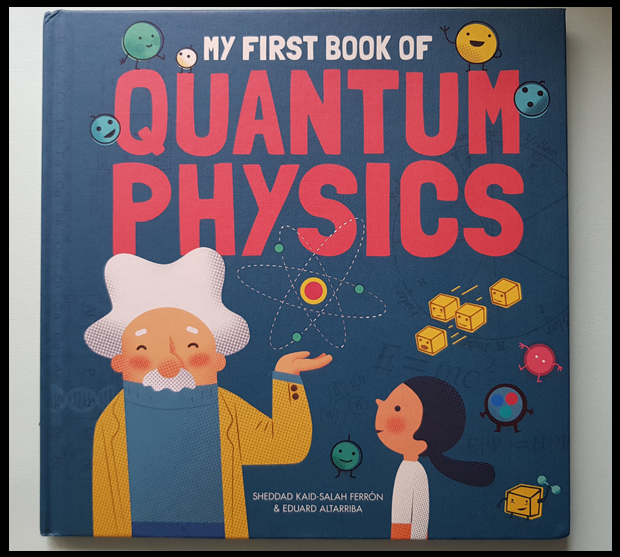 I am very excited to be reviewing the new book by Sheddad Kaid-Salah Ferron and Eduard AltarribaMy First Book of Quantum Physics. Everything around us – trees, buildings, food, light, water, air and even ourselves – is composed of very, very small things known as subatomic particles – minute particles, smaller than a nanometer (a billionth of a metre). When scientists started to discover more about these particles, they realized that in such a tiny world, the laws of physics did not apply and they needed to generate a new set of theories, which we know today as quantum physics. Quantum physics is the science of these particles and without it, none of our electronic devices, from smartphones and computers to medical imaging equipment and microwave ovens, would exist. But quantum physics also pushes us to the very boundaries of what we know about science, reality and the structure of the universe. The world of quantum physics is an amazing place, where quantum particles can do weird and wonderful things, acting totally unlike the objects we experience in day-to-day life. How can atoms exist in two places at once? And just how can a cat be dead and alive at the same time? 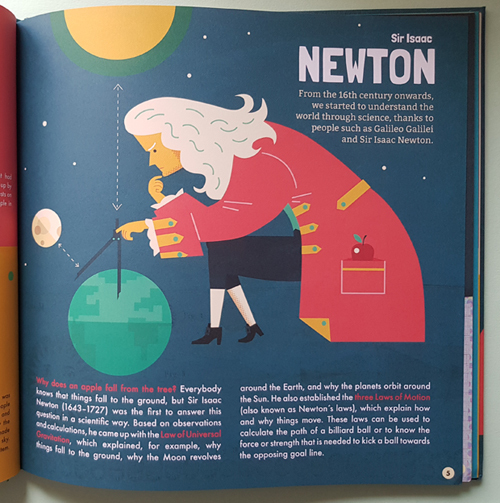 It may well become obvious in my video below just how much I do love this book, and the fact that my son loves maths and science means he too will love this book. It is aimed at 8+ so I do believe he is just a wee bit too young at the moment to fully appreciate the book, but I plan to take it on holiday with us next week and just see how he gets on with it anyway. He is naturally very curious, enjoys the head teacher's science experiments in assembly and is forever asking us to set him math problems, I think my son is very much on his way to studying quantum physics! The book is in hardback and currently retails at £12.99 which is a very fair price for the knowledge that it holds. 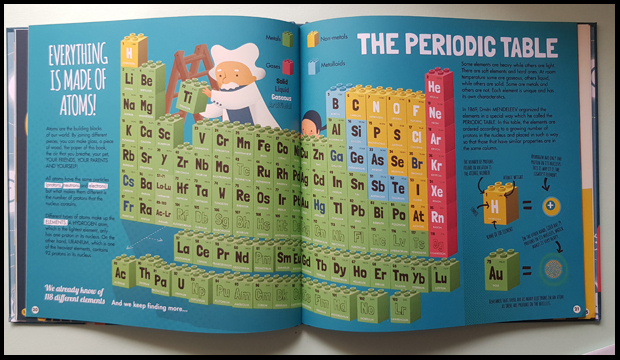 It is written in language the children will understand and shows how the periodic table is made up. A great starter book for any child who is showing so much willingness to learn or for those who are struggling to get to grips with science at school. It is, therefore, a book for all levels and even for us adults if we've forgotten or got lost along the way. Best building blocks, don't you think? The above wording is my own and not influenced by the product received.